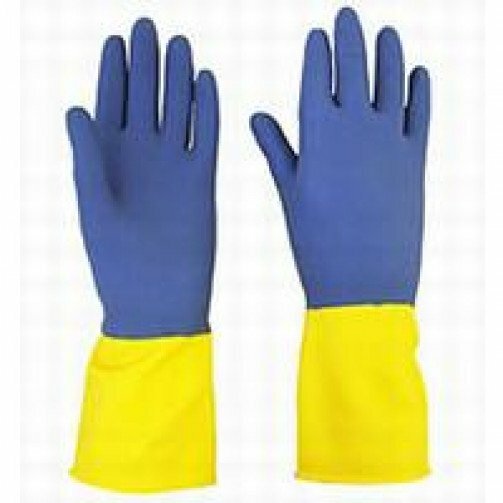 Heavy weight rubber glove, which will stand up to repeated rubbing and scuffing. Manufactured from neoprene blended natural latex with cotton flock lining, which offers sensitivity and comfort. Will remain flexible and wearer friendly throughout the life of the product. Resistant to some chemicals and acids. EN 388: 2003 2 0 2 0.